Lemon Filled Cupcakes with Lemon Buttercream decorated three ways for spring! Here comes Peter Cottontail, hoppin down the bunny trail……. Hippity hoppity Easter’s on its way! I can’t believe Easter is just about here! March was a record-breaking warm month, in the ’80s a good part of the time, and April is headed in the same direction starting out in the ’90s! Feels more like the Fourth of July than Easter here in Missouri. Whether it is a new dress, a bonnet or basket filled with candy, many will be celebrating Easter this Sunday. After the morning egg hunts and church, it’s time to settle in for a nice Easter meal that always includes some delicious baked goods! 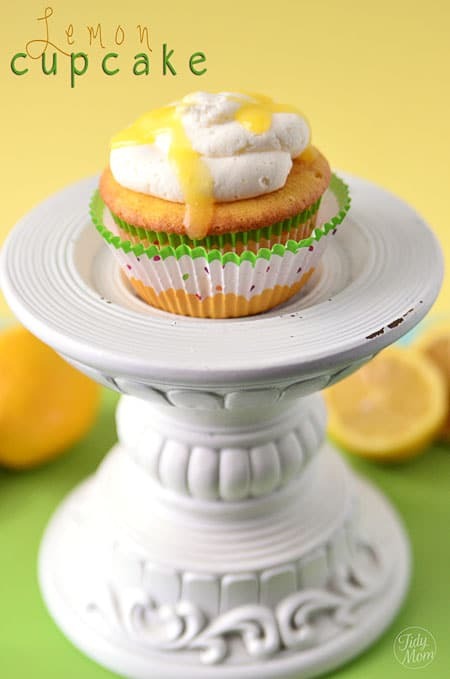 A few months ago I saw the cutest little marshmallow bunnies on BHG.com and I knew they’d be adorable on top of a cupcake, a lemon cupcake to be exact! I slightly adapted my lemon pound cake recipe for the cupcakes, filled them with tangy lemon curd and topped with lemon buttercream. I knew they’d be good anytime, not just for Easter, so I decided I to decorated them three different ways. Place a large marshmallow on a toothpick and frost with canned frosting, then roll it in coconut. Attach two miniature marshmallows for the feet using a little frosting to “glue”. Decorate with candies for the eyes, nose, and whiskers. To make ears: Use kitchen shears to cut a strip from the top edge of a large marshmallow. Dip brush in pink food color, then into a bowl of water (to dilute) and lightly brush center of “ears” (*optional), then attach with a bit of frosting. Using the same recipes, transfer untinted lemon buttercream frosting to a large pastry bag fitted with a large plain round Ateco #809 tip. Pipe frosting in a spiral motion on each cupcake. Top with Wilton Spring Confetti Sprinkles. Green polka-dot cupcake wrappers from Sweet Baking Supply. Use the same technique as above, but instead of sprinkles, drizzle cooled lemon curd over buttercream. Happy Easter cupcake wrappers from Wilton. This creamy velvet lemon curd is super simple to make using the microwave. 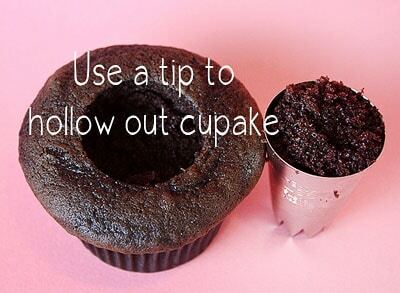 Use a large piping tip and press into the middle of each cupcake. (If you don’t have a tip, you can cut a circle with a small knife). Press the tip down about a third of the way and then remove it. It should remove a circle of cake from the center of the cupcake. Then fill hollowed out cupcake with lemon curd. To see how to do this with a knife, check out my raspberry filled cupcakes for instructions. 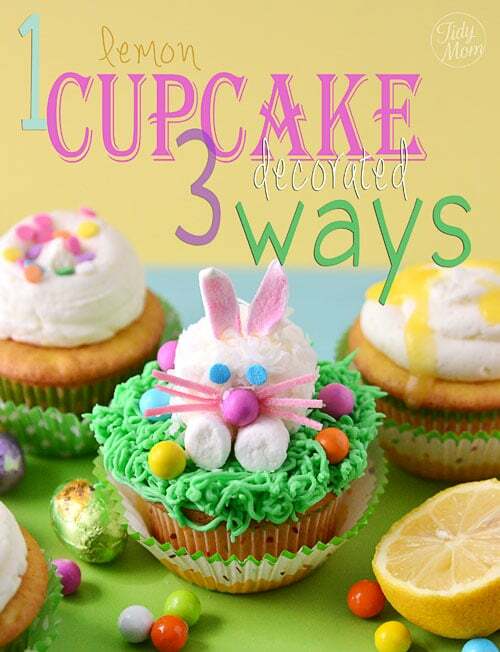 So there you go……..one cupcake decorated three ways. 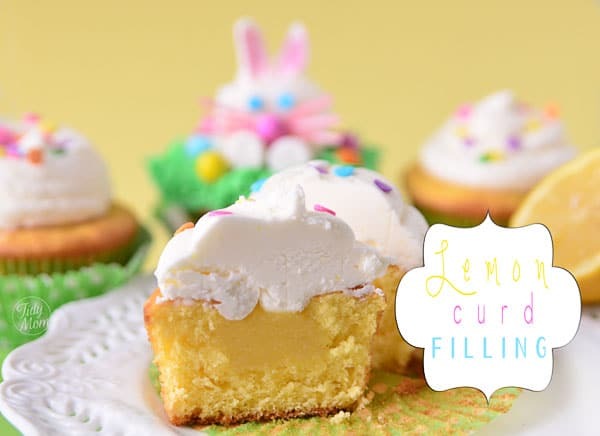 The bunny cupcakes are fun to make and eat – perfect for Easter holiday, but this lemon cupcake recipe is so delicious, you can decorate one of the other ways to enjoy any day. Fun for Easter or Spring! 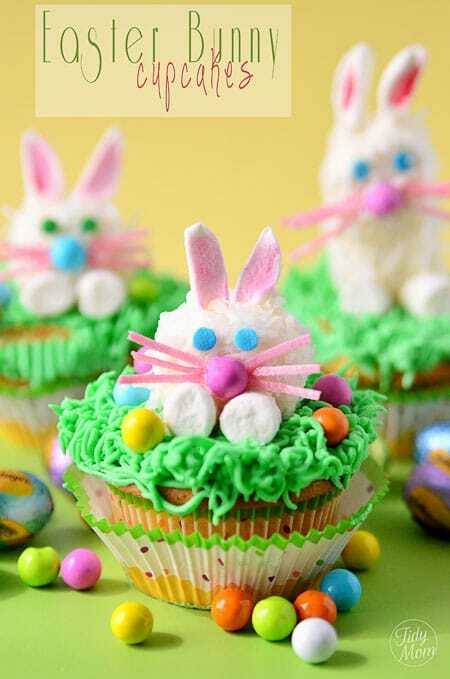 Lemon Filled Cupcakes with Marshmallow Easter Bunny!! 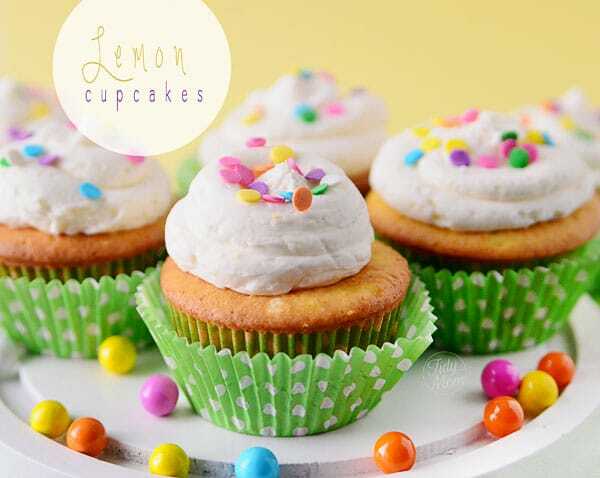 FOR LEMON CUPCAKESPreheat oven to 350° and line cupcake tins with paper liners. Combine all cupcake ingredients and mix for 2 mins at medium speed. Using a large scoop (I use an ice cream scoop) fill each cupcake line 2/3 full with batter. Bake for 20 minutes, or until cupcakes are springy to the touch and a toothpick inserted comes out clean. Cool completely on wire rack. Once cupcakes have cooled, hollow out a small well in the center of each cupcake using a knife; I like to use an icing tip or apple corer, but a knife works well too. FOR LEMON CURDWhisk together sugar and eggs in a large microwave-safe bowl. Add lemon juice, zest, and butter and whisk until well combined. Cook in microwave on high at one-minute intervals, stirring after each minute. This should take about 5 minutes, depending on your microwave. Lemon curd is done cooking when it coats the back of a metal spoon. Remove from microwave and cool completely. Spoon lemon curd into each hollowed out cupcake and top with buttercream. FOR LEMON BUTTERCREAMIn a large bowl, beat butter until creamy. Slowly add salt, vanilla and lemon zest on medium low until smooth and combined (about 1), scrapping sides of bowl as necessary. Slowly add powdered sugar one cup at a time on low until combined, scrape sides of bowl. Add lemon juice and mix until well combined. Increase speed to medium, and beat for 1 min. If buttercream is too thick, slowly add heavy cream 1 tablespoon at a time until you reach the desired consistency. Beat at high speed until frosting is fluffy. 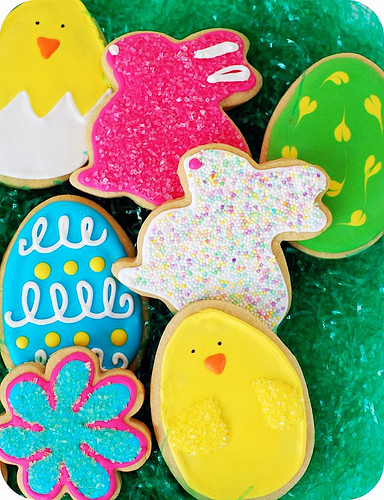 You Might Also Enjoy These Easter Treats! 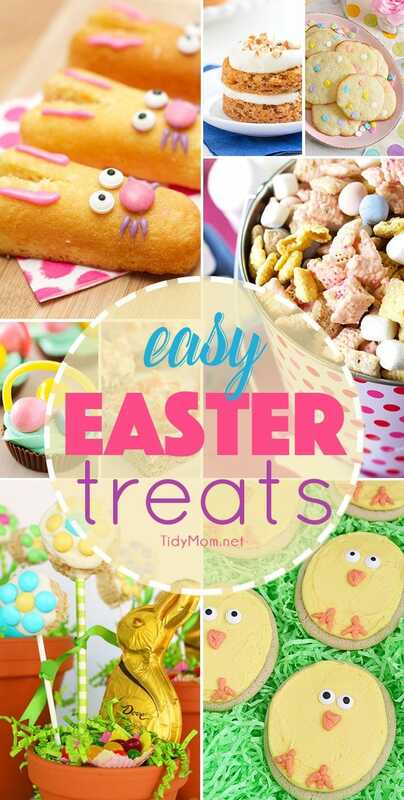 Easy Homemade Easter Treats to make. 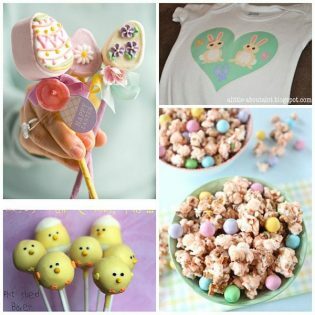 Lots of cute Easter treat/dessert ideas for the kids and adults. 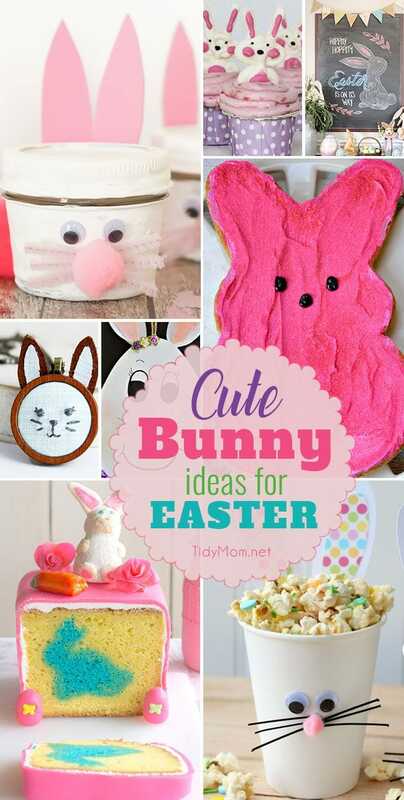 Cute Bunny Ideas for Easter, from Easter Bunny inside cakes to cupcake toppers, jars, cups, treats and more! 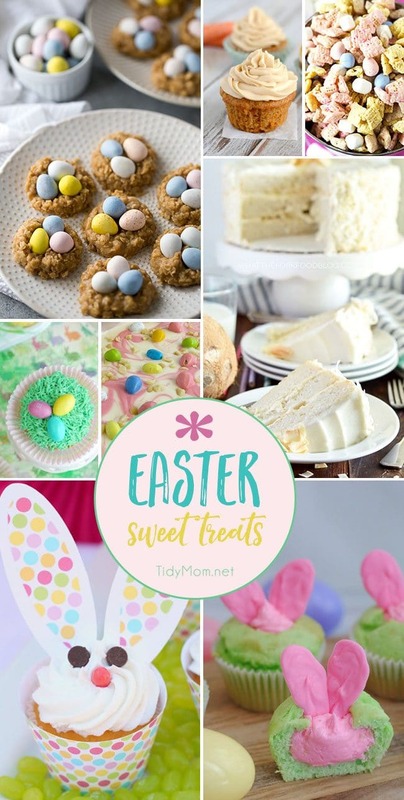 From bunny tail muddy buddies and bunny cupcakes to carrot cake cupcakes and coconut cake, Easter Sweet Treats are not only delicious but fun to make and enjoy!! The bunnies turned out so cute, Cheryl! I love them. 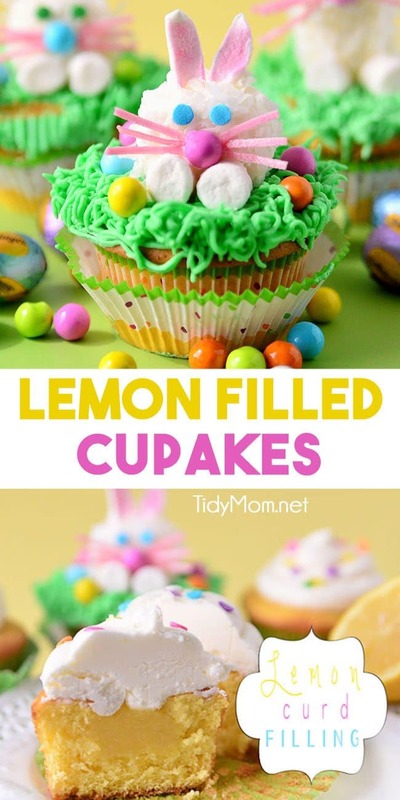 Lemon is so spring to me – these cupcakes look fabulous! Too cute and I love the filling! So so so cute! i love all the variations, Cheryl. 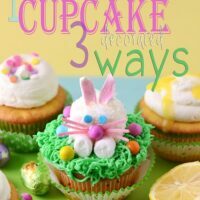 The bunny cupcakes are the sweetest and your lemon filled and lemon topped cupcakes with the lemon buttercream…that’s my kind of Easter treat. Cheryl these are TOO CUTE! I wish I had mad decorating skills like you do! Oh Cheryl – these are adorable!! those are so festive, Cheryl! I love a good lemon cake – add a bunny and you have something so special! These are so cute!! Love this idea. How cute are all these cupcakes! I adore the bunny ones – so cute. They are so cute…and lemon curd…my absolute favorite!!! The little bunnies are absolutely adorable! I don’t think I could bite into something so cute. Stinkin’ adorable, Cheryl! I love the lemon curd in the middle. Lemon has to be my favorite flavor.. behind chocolate of course, but that’s a given, right? 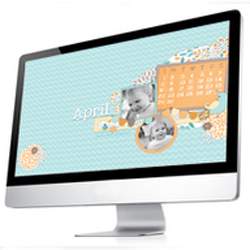 Super cute and the pictures are great! These are adorable! I love the lemon curd in the center. Mmmm! These are fabulous! So cute Cheryl! These are beyond adorable, Cheryl! Plus, I love that you filled the cupcakes with lemon curd. They look delicious. Lemon sounds so spring-like and perfect for Easter. I am SO making this lemon curd tomorrow, and cupcakes:). Thanks for the great recipes. Your photography is fantastic and I love your food styling! Lovely cupcakes. I will try the hollow out style. I find it so cute. How fun and festive! A delicious recipe to accompany that is sure to please everyone this holiday! My girls would love to dive into those! Too cute! I’m a sucker for anything lemon!! Sounds really good and looks EVEN cuter!!! Great Job! I am visiting via TT&J. I absolutely adore this yummy project! So clever. Came here from Made by You Monday! These look delicious!! I am sure my Bunny would love them!! These are amazing cupcakes! I would love for you to share them and anything else you might want to at my link party – I found your link over at Sundae Scoop Link party. Have a great week. I make lemon filled cupcakes but instead of filling them after they bake I drop about 1 tablespoon of lemon curd on top of the cupcake and it sinks into the middle as it bakes. You can mix the store bought frosting with cool whip and it makes a lighter tasting frosting. Just some alternate suggestions. Loving this. I’ve never tried doing filled ones before. I must get the little tool and have at it. Those are so cute and sound delicious, I love lemon!